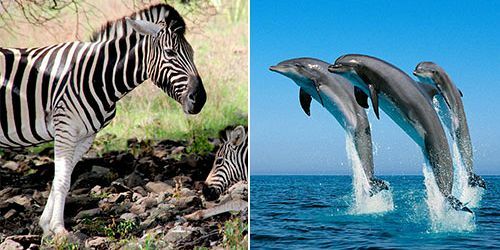 The South of Mauritius is the best area to enjoy nature and land excursions, including Hiking & Trekking, Animal watching, Safari trips and Canyoning. 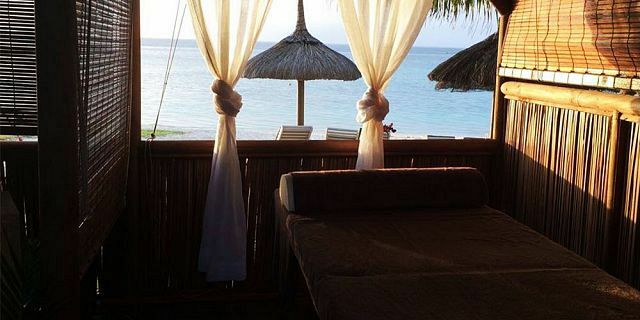 For those seeking to spend a romantic time in seclusion with your loved ones, this is the perfect package for you. Enjoy a pampering afternoon and the most romantic evening with this ultimate romantic lover’s package taking you for a journey through romance and love. 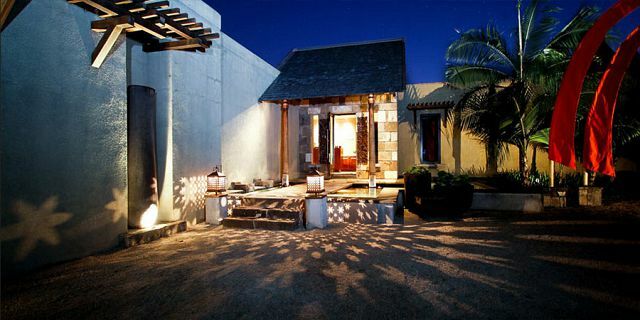 Start your afternoon with a unique and relaxing sensory experience at one of Mauritius’ leading spas. 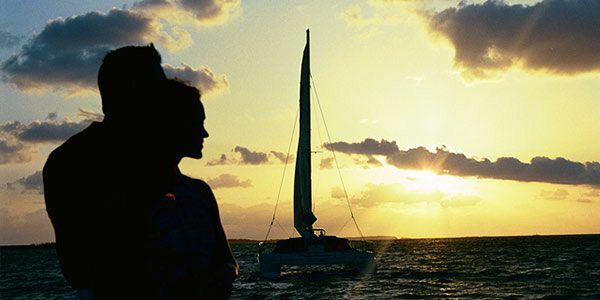 Then head for your own luxury private catamaran cruise for an unforgettable Private sunset dinner cruise experience with an exclusive catamaran boat cruising along the northern coastline and the perfect setting with the sunset coloring the sky. 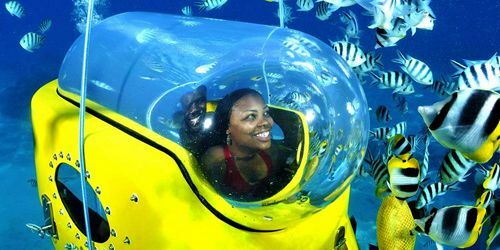 This couple package is a unique invitation and an ideal choice for honeymooners and couples who want to add some magic in their relationship. Le Spa 5 Sens in Domaine des Alizées is a Zen oasis where time seems to stop. 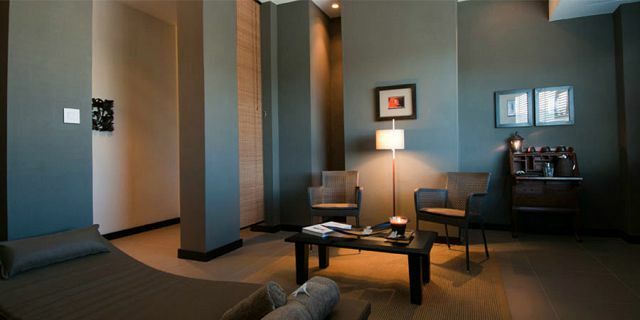 All that you have to do is forget your worries and let yourself be taken care of in the hands of the expert therapist. Your relaxation journey starts with a personalized welcoming detox juice. Chill out and enjoy the beautiful setting. 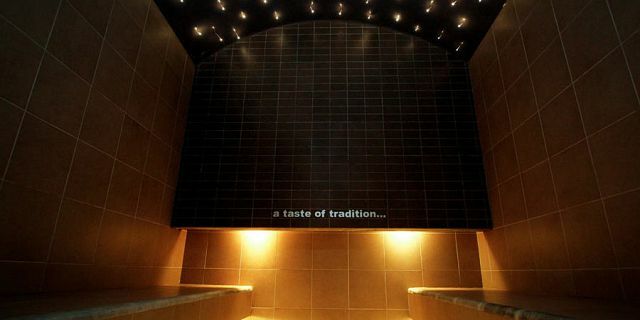 As part of the package, enjoy a soothing 30-minutes hammam or sauna session. The Hammam is highly beneficial to the skin by eliminating toxins and soothing sore muscles. The dry steam sauna’s temperature ranging from 21-37 °C, is particularly recommended against joint pain as well. It also makes breathing easier due to the hot steam. After your hammam or sauna session, enjoy a deep relaxing Full Body Balinese massage, especially suited for couples in a very romantic setting. A blissful treatment, the Balinese Massage is a relaxing massage designed to work almost every muscle in the body using special essential oils. Using a variety of massage techniques, including press point movements and palm pressure, this massage will de-stress and promote the flow of blood and energy throughout your body. Feel your body loosen up with every massage strokes and manipulation of each pressure point. After your wonderful massage, appreciate some romantic quality time and tranquility, just you and your partner, sipping a fruit cocktail and a tea or infusion. These little touches will make your romantic escape simply perfect. 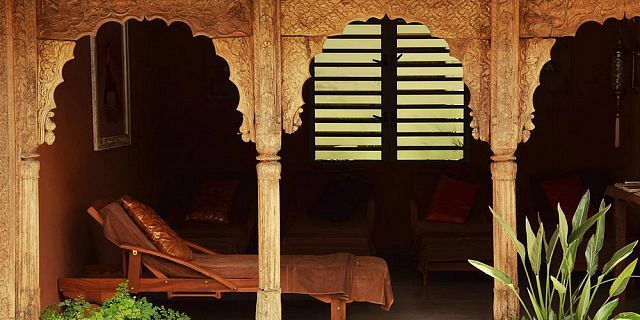 You will travel and feel the real bubble of well -being, relaxation and rejuvenation altogether. The perfect 'US' moments to cherish! A bathrobe, disposable underwear and slippers will be provided. 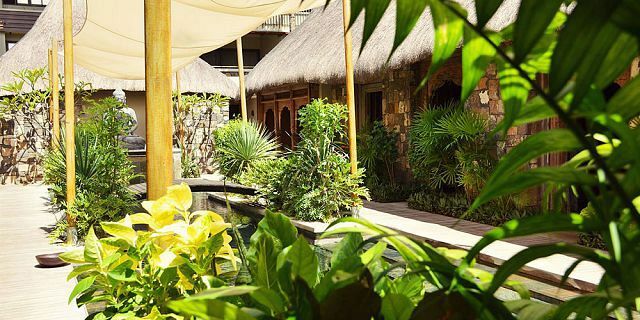 Nestled in the heart of the residence Domaine des Alizées, just minutes from Grand Bay and close to the most beautiful beaches of Mauritius, Le Spa 5 Sens, a well-known rejuvenating haven, guarantees impeccable quality and exceptional service. The spa blends perfectly into the natural setting of the prestigious residence, with its small pontoon, thatched roofs and traditional architecture in woods. A place of relaxation and well being amidst of a partially open tropical flora, this is simply one of the most beautiful spas in Mauritius. Le Spa 5 Sens is very famous for its highest standard customer service, professionalism and long, unique list of spa treatments. 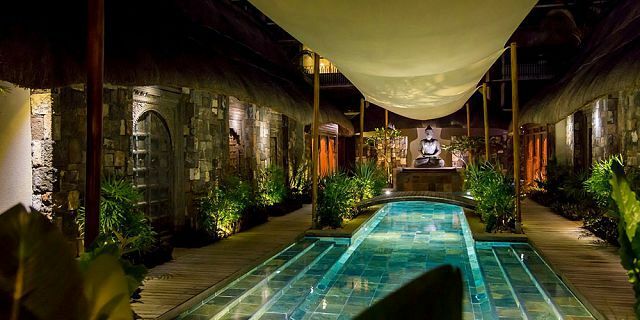 In a truly unique setting with its impressive walls of volcanic rock, its Balinese doors, its huge Buddha statue, the clients have access to a range of massages, facials, body wrap and waxing. It is in a dozen treatment rooms that the team of expert therapists offers the best care to all their valued customers. A serene sanctuary featuring nine treatment rooms including two double cabins, four singles, three scrub rooms, and two relaxation rooms overlooking the interior garden of the spa, all at the disposition of the clients. Hammam, sauna, cold bath, Jacuzzi and relaxation pools completes this moment of bliss. 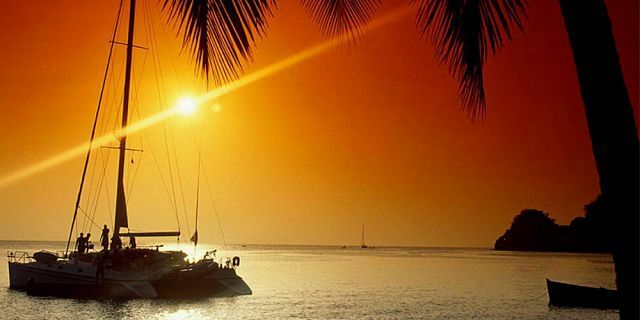 Enjoy a romantic exclusive private Catamaran Sunset Cruise in Mauritius including full dinner and drinks. 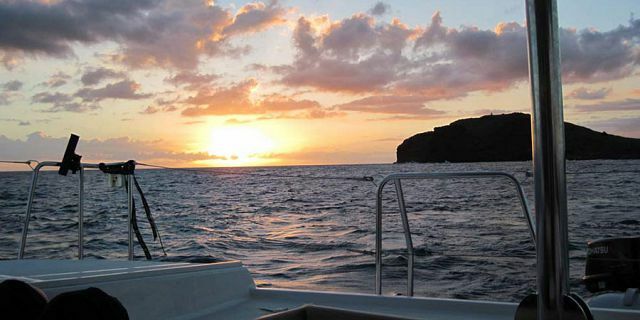 Experience a tailored made private catamaran sunset cruise with your loved ones along the North West coast of Mauritius; this is definitely an enchanting way to enjoy romantic time, and is one of the most romantic things to do in Mauritius. 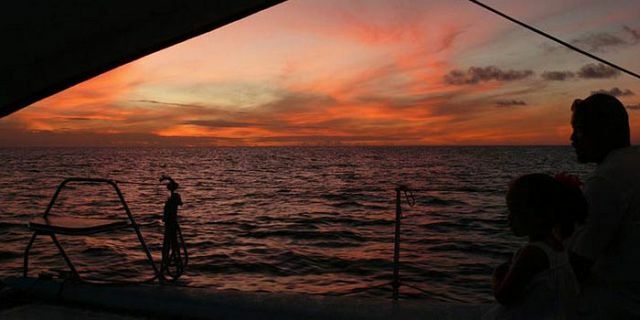 You will embark onboard the beautiful 40 feet catamaran and experience unforgettable 4.5 hours unique sunset cruise while enjoying a private romantic dinner served onboard the catamaran. 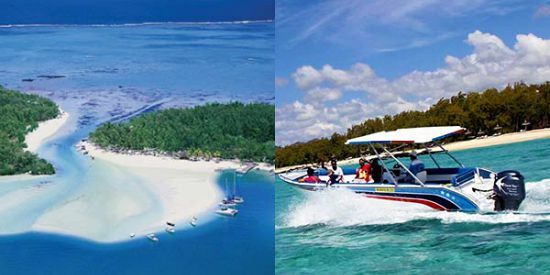 The catamaran sunset cruise departs at 17:00 from Grand Baie (North of Mauritius). 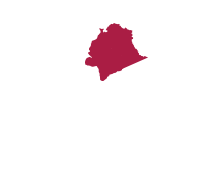 Expected arrival time back to Grand Baie is 21:30. The setting for this trip is ideal, you will have your own private catamaran with clear blue water all around, beautiful sunset in the background, a top-of-the-line stereo system and a tasteful music collection, and a selection of cocktails and drinks served to you by the boat staff, which is there to attend your every need and desire. Soft drinks, Alcoholic beverages and a selection of canapés and Mauritian snacks and dinner are available during the Private Sunset Catamaran cruise. 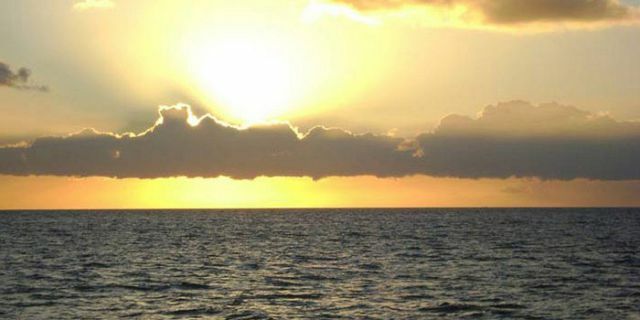 The private sunset dinner cruise will take you along the northern coastline of Mauritius, where you can best appreciate the solitude of the ocean and a romantic sunset too. The cruise will take you out of the lagoon, heading the direction of Coin de Mire Island (also known as Gunner’s Quoin). 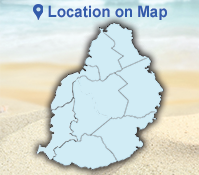 You will cruise along Coin de Mire and will get to see the island from close and its spectacular sea cliffs. 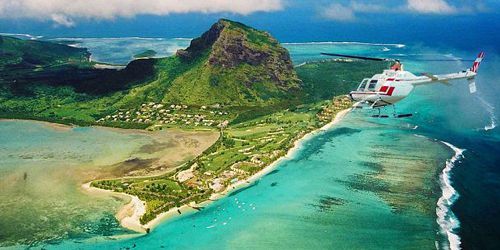 You will also get to sail past Fort Malarctic, Cap Malheureux and other important historical sites of Mauritius, and have an excellent view of the other northern isles and on the central mountain range of Mauritius. As part of the cruise you will also get to enjoy a full delicious dinner. 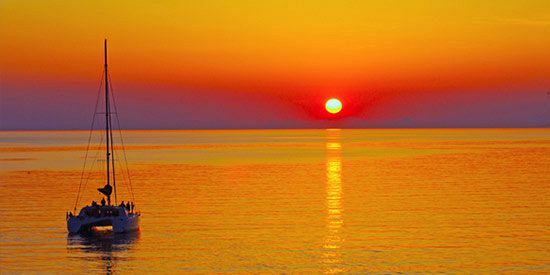 The catamaran will stop sailing near one of the beaches for you to have the dinner, served on the catamaran in calm sea conditions. The dinner menu consists of a variety of salads, aubergines sautées aux oignons, grilled fish, grilled chicken, sausages and desserts. For vegetarian, upon advance notice, we can provide vegetarian meals. From the moment you board the catamaran, you truly relax and unwind with fantastic crew, hospitality and the most amazing scenery you could possible wish for! 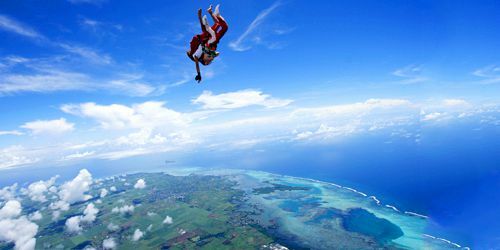 Certainly a must to do in Mauritius!